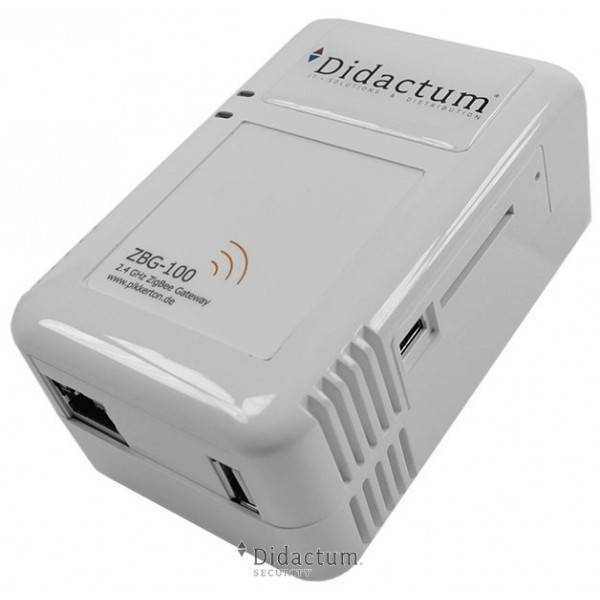 Product information "ZigBee Gateway LIGHT"
The ZigBee Gateway ZBG-100 Light is a Plug Computer with integrated ZigBee-Coordinator. The easy programmable ZigBee-Gateway ZBG-100 consists of a GHz class ARM-based CPU with strong peripheral components like Gigabit Ethernet, one SD-Card slot for data logs or applications and a 2.4 GHz ZigBee coordinator module. The 230V power supply is integrated, therefore the device can start immediately after getting plugged into a wall socket. For a quick and easy start a web-based frontend is available. Each ZBS device can get configured very comfortable now. With our SNMP implementation you can map each ZBS device easily into your existing management system or address it directly from your IT system. Alam notifications are sent through SNMP traps. All incoming data from the connected sensors are getting stored locally in CSV files. A log rotation mechanism prevents from exhausted memory. The CSV files can get transferred via SSH, SCP or HTTP. To use this system you need a installed NMS system. It is Nagios, Icinga or OpenNMS. 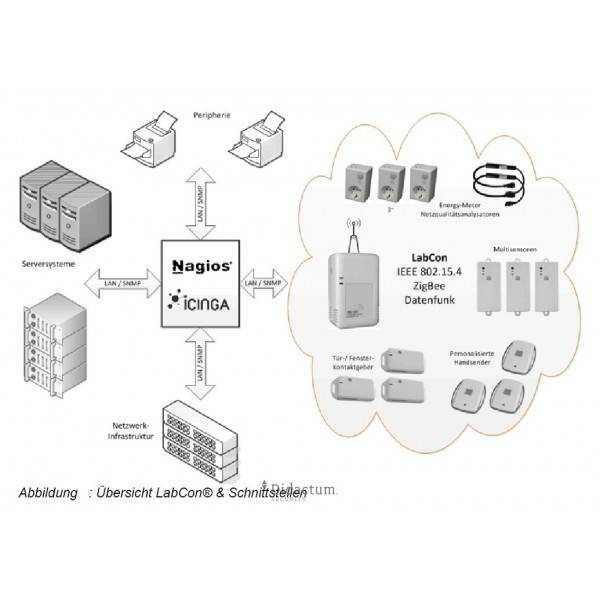 This ZigBee Gateway can manage up to 3 sensors or routers. 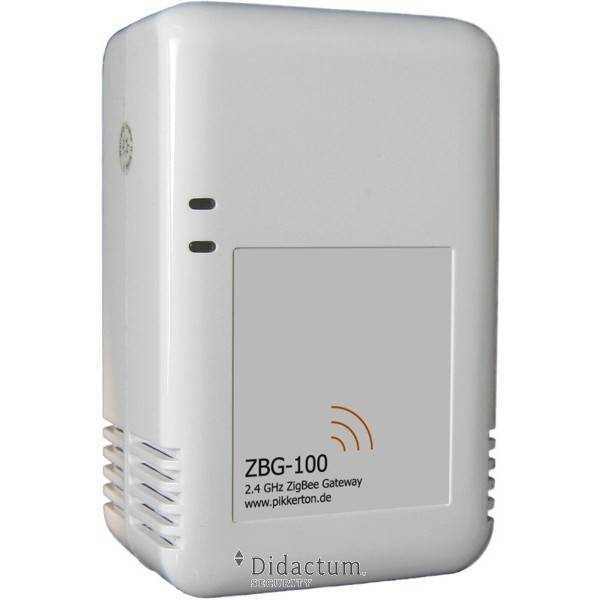 Means of a firmware update can be extended gateway and this will be a full ZBG-100. it is then to pay only the difference! 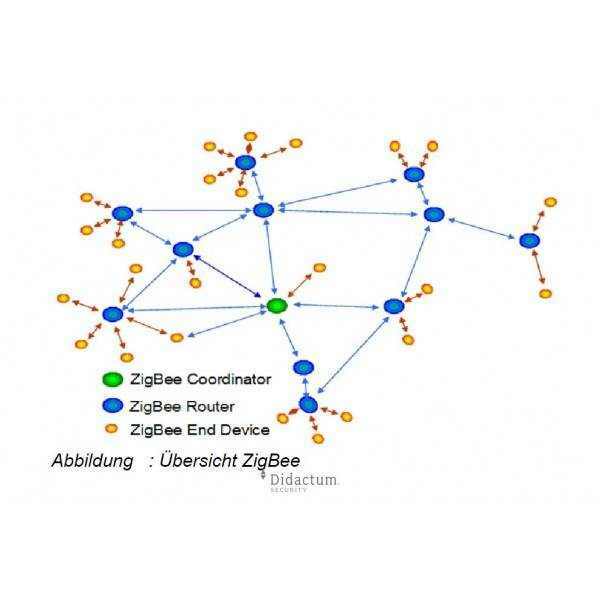 Related links to "ZigBee Gateway LIGHT"
Customer evaluation for "ZigBee Gateway LIGHT"